Spend another £67.99 to get FREE DELIVERY! 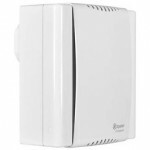 DX200 two speed 100mm 4 inch centrifugal extract fan for use with an external switch or sensor. Is typically connected to the room lighting circuit. The Premier range of centrifugal pressure developing fans is designed for bathroom, toilet and utility room installations where longer duct runs are required. 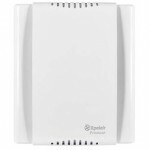 They are also suitable for many commercial applications such as hotel rooms, office toilets and commercial wet rooms. All Premier models have a gloss white casing with clean and sleek appearance and can be surface mounted or easily recessed into ceilings or stud work walls, in recesses as little as 50mm deep. They can also be can be connected, using the side entry knockout provided, to profile 29mm flat plastic ducting with the use of a FDA Premier fan adaptor accessory. Alternatively 100mm circular ducting can be used with the spigot supplied. They can also be through wall mounted using a 100mm wall tube kit. DX200 models feature a neon indicator and all models have totally enclosed and maintenance free for life motors, with self aligning bearings and thermal cut-out protection. The clip off front cover and pull off removable fan blade allow easy cleaning and maintenance and all feature an automatic air operated back draught shutter. DX200 models are IPX5 rated. All are BEAB approved a suitable for 220-240V AC 50Hz mains operation.